The biggest news story on earth yesterday was the first ever image of a black hole. A black hole is the densest material in the universe, usually formed by a massive star that collapses and leaves behind only its gravity. Nothing, not even light, can escape the gravity of a black hole. The image released by astronomers this week is a black hole deep in the heart of a galaxy called Messier 87, about 55 million light years from earth. This particular black hole is roughly seven billion times more massive than our own sun. The historic feat was made possible by an international network of radio telescopes, called the Event Horizon Telescope, that essentially turned our planet into a giant telescope. 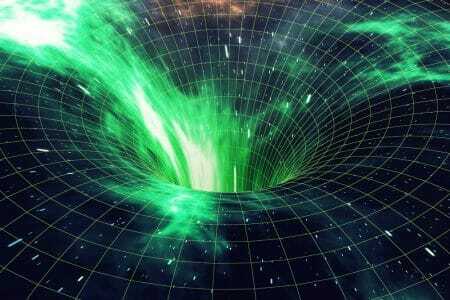 An event horizon is the boundary of a black hole beyond which nothing can escape. Incomprehensibly vast galaxies have the same spiral shapes as tiny nautilus seashells on the beach. And just as you can find recurring patterns like this in nature, you can find recurring patterns in the markets. Which brings me to financial black holes. When the stock market crested and crashed in 1987, 2000 or 2008, were you caught up in the euphoria — and did you get pulled into the abyss? Take the crash of 2008. It was the worst jolt to the global financial system in almost a century and pushed the global banking system toward the edge of doom. The S&P 500 is up 15.2% for the year, which feels pretty good. But the market’s protracted upward trajectory should nonetheless make you wary. Red flags are increasing. The indices continue to rise but the number of 52-week highs is declining. If the number of 52-week highs declines, this means fewer stocks are working to push the market upward. Indeed, the number of S&P 500 companies making new 52-week highs has been falling as the index approaches new records. The S&P 500 is poised to overtake its record high set in September. Widespread public infatuation with highly leveraged investments is another warning sign. When your cab driver or local barber is dabbling in highly complex derivatives or margin accounts that they don’t fully understand, it may be time to pull back on your stock investments. A sudden spike in the number of highly aggressive amateur speculators means that Wall Street is becoming more like a casino and it’s heading for a losing streak. Bull markets die on euphoria. Although they’ve come down a bit, valuations are flashing red, too. Consider the cyclically adjusted price-to-earnings ratio (CAPE). The widely respected (and uncannily prescient) Professor Robert Shiller of Yale University invented the CAPE ratio (also known as the Shiller P/E) to provide a deeper context for market valuation. The CAPE ratio is defined as price divided by the average of 10 years of earnings (moving average), adjusted for inflation. The ratio now stands at 31.08 (as of market close, April 11), which is 87.1% higher than the historical mean of 16.61. Shiller won the Nobel Prize for Economics in 2013, so he’s worth heeding. The Shiller P/E is illuminating whereas the traditional P/E is misleading. The key advantage of the Shiller P/E is that it eliminates the fluctuations in the traditional P/E generated by variations in profit margins during business cycles. During economic expansions, companies rack up high margins and earnings; the traditional P/E ratio in turn becomes artificially low. The converse happens during recessions. The Shiller P/E isn’t the only red flag. By historical precedent, U.S. stocks are long overdue for a bear market. The average bull market since World War II has lasted just 52 months. The current bull market started in April 2009. Meanwhile, corporate earnings are under pressure. According to the latest estimates from the research firm FactSet, the S&P 500 in the first quarter of 2019 is on track for an earnings decline of 3.9%. If -3.9% turns out to be the actual performance for the quarter, it will mark the first year-over-year decline in earnings for the index since the second quarter of 2016, when earnings growth came in at -9.8%. For the last several previous quarters, robust earnings growth was a major factor keeping the bull market alive. The U.S. tax cut package signed into law in December 2017 acted like a shot of steroids for corporate America, fueling stock market gains as companies used their tax windfalls to launch share buyback programs. Well, the steroids are wearing off and the global economy is showing signs of slowing. Headwinds include the U.S.-China trade war, rising input costs, and uncertainty over government policy and interest rates. It’s also dawning on middle-class Americans that the tax bill was decidedly not in their favor. In the context of today’s uncertainty, you can either flee to safety (and receive dismal returns), do nothing (and get slaughtered), or be proactive and take decisive measures to simultaneously hedge your portfolio and profit. A few crash-protection measures to consider: pocket profits from your biggest gainers; use stop losses for further stock purchases; avoid glamorous stocks with nosebleed valuations that get fawning coverage on CNBC; invest 25% of your portfolio in hedges (e.g., precious metals); raise you portfolio’s cash level to at least 15%; and make sure you’re diversified across sectors and asset classes. One encouraging sign is the Federal Reserve’s recent dovishness. Slowing global economic growth and indications of muted inflation are prompting the Fed to ease up on tightening. When the Fed increases interest rates and squeezes credit, it causes money supply growth to plummet—an unmistakable sign that the stock market will soon stall. Historically, money supply growth has exhibited a close correlation with stock price movements. An increasing money supply boosts stocks; decreasing money supply puts the brakes on stocks. The Fed’s pause of interest rate hikes is cheering Wall Street; we’ll see how long it lasts. Bull runs often are propelled by a relatively small number of strong stocks that are market leaders. When these stocks begin to falter, it could mean that the rest of the troops will follow. During the market’s swoon in the fourth quarter of 2018, market leaders took a drubbing. To be sure, some of them are bouncing back. Large-cap tech stocks, for example, are regaining their lost momentum. The benchmark Technology Select Sector SPDR Fund (XLK) has racked up a year-to-date return of 23.6%. However, many erstwhile high fliers are under-performing right now, especially in cyclical sectors. It’s a trend that should accelerate as the recovery gets long in the tooth. By following these four commonsense protection measures, you can stay in the game but reduce your exposure to risk. One of the most widely used devices for limiting the level of loss from a dropping stock is to place a stop-loss order with your broker. Using this order, the trader will pre-set the value based on the maximum loss the investor is willing to tolerate. If the last price drops below this fixed value, the stop loss automatically becomes a market order and gets triggered. As soon as the price falls below the stop level, the position is closed at the current market price, which prevents any additional losses. A trailing stop and a regular stop loss appear similar as they equally provide protection of your capital should a stock’s price begin to move against you, but that is where their similarities end. The “trailing stop” provides an advantage over a conventional stop loss because it’s more flexible. It allows the trader to continue protecting his capital if the price drops, but when the price increases, the trailing feature becomes active, enabling an eventual protection of profit while still reducing the risk to capital. Over time, the trailing stop will self-adjust, shifting from minimizing losses to protecting profits as the price reaches new highs. Don’t put all of your eggs in one basket. Also be sure to diversify across sectors. 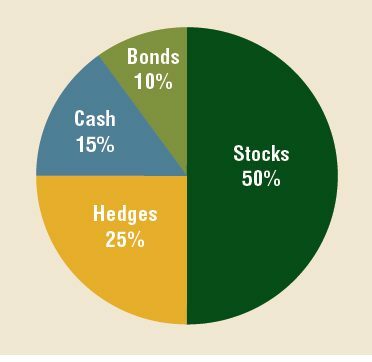 Despite the compelling case to diversify, many investors hold portfolios with assets concentrated in relatively few holdings. This common failure has its roots in lack of knowledge and just plain laziness. We’re currently witnessing a transition in the market from overvalued momentum stocks to underappreciated value plays, with a focus on sectors that perform well during the late stage of an economic recovery. Now’s the time to follow this trend. Don’t just stick to components of the S&P 500 or the Dow Jones Industrial Average. Spread your portfolio among value, small-cap, large-cap, growth and dividend stocks. Don’t simply focus on specific country or regional funds, or on emerging markets. The best course of action is to diversify throughout the world through international index funds. The overwhelmingly bullish consensus in the media right now should give you pause. Don’t succumb to “group think.” When the yakkers on financial television start hyperventilating with euphoria, it’s time to get cautious.